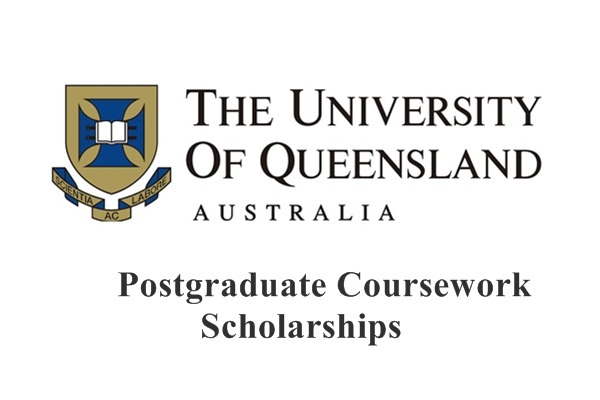 Postgraduate Coursework Scholarships was established in 2011 and is maintained by the School of Chemistry and Molecular Biosicences, Faculty of Science, The University Queensland- Australia. The purpose of the scholarship is to encourage and reward students from India studying postgraduate coursework programs administered by the School of Chemistry and Molecular Biosciences. The scholarship is intended for newly commencing students and is not available for students who have already commenced studies at the University of Queensland. The scholarship covers 50% of the program tuition fees for the minimum number of units required to complete the program the scholarship is awarded for unless otherwise stated. (1) The Senate may award up to 4 Scholarships each year on the recommendation of the Associate Dean (Academic). (2) One of every two Scholarships shall be awarded to a student eligible to enrol in the Master of Biotechnology (16 unit or 24 unit) program or the Master of Biotechnology Research Extensive (24 unit or 32 unit) program. (3) The value of the Scholarship is 50% of the tuition fees payable for the minimum number of units required to complete the program by the student who is awarded the Scholarship, for each semester for which it is held. being eligible to continue to hold a student visa. If the recipient fails to satisfy the above rule, the student must show cause to the head of the school why the scholarship should not be cancelled. The recipient may be required by the head of the school to pay the full tuition fee of any course that is repeated. In minimum completion time, means the minimum period of time it would take a student to complete the remainder of the program in which the recipient is enrolled when the recipient is awarded the scholarship. Students are required to pay for their own medical insurance through the Overseas Student Health Cover (OSHC) scheme. Overseas Student Health Cover (OSHC) is a compulsory requirement of your student visa. The University has appointed World care Assist as the preferred provider for OSHC. For the selection process, the Head of School, must establish a selection committee, comprising a minimum of three directors of postgraduate coursework programs administered by the School of Chemistry and Molecular Biosciences. The head of the school will appoint a chairperson from those appointed to the selection committee. professional success in the relevant field of postgraduate coursework study.